I was born in 1983 along with my twin sister Anastasia. We were born prematurely and later diagnosed with cerebral palsy, spastic quadriplegia. My early years were spent between doctors, therapists, surgeries and hospitalizations. I started pre-school at age two, attending United Cerebral Palsy’s children’s program. By that time, it looked like I would be non-verbal, and so they tried various types of communication devices with me, until finding one I could access successfully and independently via a chin switch. Upon entering the public school system at age six, I was assigned to a special education class with other students who had a wide variety of disabilities. After two years in this classroom, it became clear that the children were being warehoused and not receiving an education. My twin sister, who is verbal, was in a different school and was thriving intellectually. In 1992, seeing no potential in the special education class, my mother initiated a due process hearing to have me transferred to a general education class. My twin sister had transferred back to the school district and into a regular class, so it seemed natural for me to be in the same type of classroom. The district disagreed, arguing that my disability was too severe, and the school was not prepared for a program of full inclusion for my level of disability. In 1993, with an impartial hearing pending for my placement, my twin was invited to the White House for an ABC television special with newly elected President Clinton. Of the forty children, Anastasia was the only one with a disability. When Anastasia raised her hand to ask a question, Peter Jennings directed the President to sit next to her. She asked him why I could not be in a regular class, just like her. This started a 5 minute interaction between the President and Anastasia, steadfastly advocating for me. My story was covered for two years by the national press, and thanks to President Clinton’s intervention and my sister’s advocacy, I became the first significantly disabled student in New York City, the largest school system in the country, to be integrated into a general education classroom. My struggle to receive a proper education continued throughout high school. President Clinton attended my graduation. In 2002, I started auditing classes at Queens College. Through a unique program designed and directed by Dr. Andrea Blau and Dr. Anthony Rifkin, my communication skills improved dramatically. The program was funded by the NYC Board of Education, which had not succeeded in teaching me to write and speak through my computer. The results were astonishing, and during this time I was able to participate in a training program at the Metropolitan Museum of Art with a highly skilled artist/docent, Nitza Danieli. 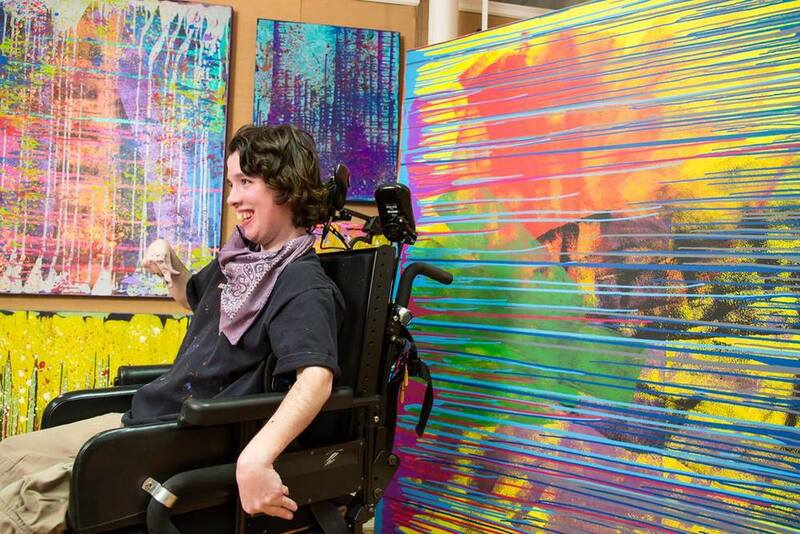 I, an artist myself, began painting at Pure Vision Arts, a studio in Manhattan for artists with developmental disabilities. I achieved my longtime goal of teaching art to young children by working closely with Standing Tall (now iHope) School in Manhattan. Today I teach art to children with and without disabilities, continue my tours at the MET, create my artwork at Pure Vision Arts and give presentations to various organizations on disability issues. I present regularly at Bank Street College of Education to graduate students, the Noguchi Museum, SUNY Graduate Center, and I am available upon request to do tailored presentations.